Older versions of Android used to grant carte blanche permissions to every new app installed on a user’s device. This wasn’t great for privacy, as some apps had a habit of requesting permissions that they didn’t need. Google added a permissions management framework called App Ops in Android Jelly Bean to address the issue, and custom ROMs like CyanogenMod engineered their own solution in Privacy Guard. But it took until Android Marshmallow for Google to completely revamp Android’s permissions system. Android Marshmallow added granular permissions management that allowed users to see which permissions an app was using, and to accept or deny it those permissions. Apps targeting the Marshmallow API also weren’t granted access to all permissions by default — instead, they had to request specific permissions as needed. The new functionality brought stock Android pretty close to parity with custom ROMs, but there’s room for improvement. In Android Marshmallow and newer, users aren’t notified about which permissions are being used by apps in the background. It’s an area where Samsung’s moved one step ahead of Google. In the Android Oreo beta for the Galaxy S8, there’s a Permissions Manager app in Lock Screen > Security > App Permission Monitor that lets you see which apps have used permissions in the background, which is helpful in identifying apps that don’t have a reason for using permissions such as location and contacts. 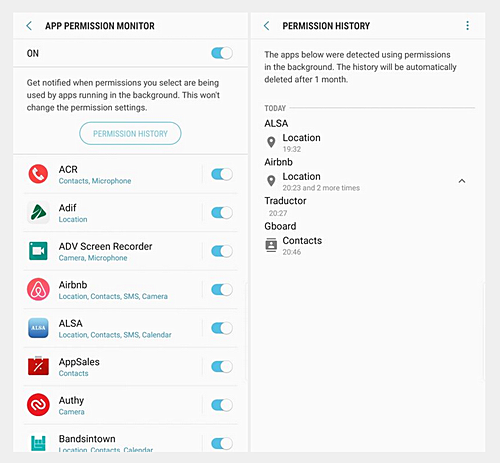 The App Permission Monitor even notifies you about suspicious apps so that you can see exactly what they’re doing. It should be noted that the Galaxy Note 8‘s stock ROM (based on Android Nougat) has Samsung’s Permission Manager feature. 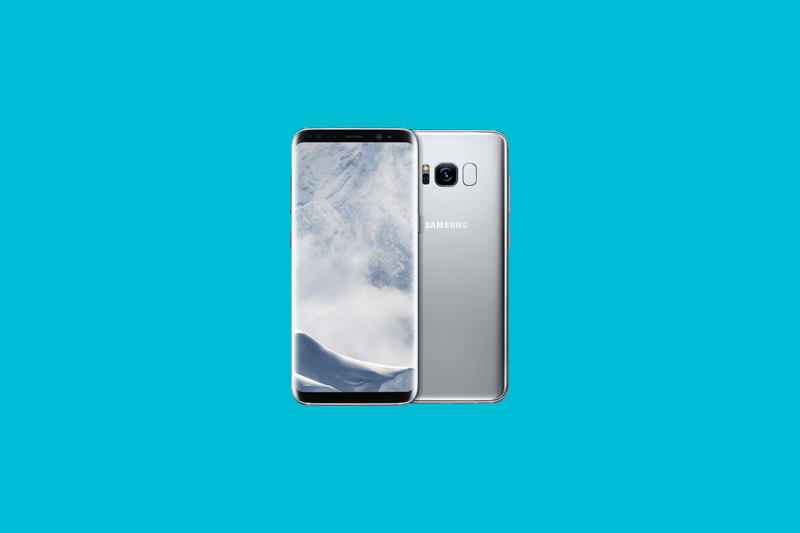 However, it wasn’t included in the Nougat-based stock ROM for the Galaxy S8 and S8+. There’s no doubt about it: The App Permission Monitor is useful feature, especially if you’re concerned about apps violating your privacy.